The Scientist career is one of the 3 active careers in The Sims 4 Get to Work Expansion Pack where you can follow your Sims to his or her workplace. If you choose for the Scientist career you’ll be working in the Science Lab. Your Sim will be able to conduct science experiments and invent new technology. Start the Scientist career as a Lab Tech and advance in your career to eventually become a Mad Scientist. The Science is only accessible when you need to work as a Scientist. Join your Sim at their workday or manage your Sims at home. When working in the Science Lab you can find different objects you can use like the Chemical Analyzer, Chemistry Lab, Microscope, Rocket Ship and even plants so you can use them for your Serums. Completing the Daily Task (get Breakthroughs). Learn and level up the Handiness Skill incase equipment breaks down. As a scientist, your Sim will want to invent new technology. In order to create new inventions, they must do research. When your Sim researches or experiments they will begin to build Breakthrough (identified by a light bulb on interactions). When they have a Breakthrough a new invention or serum will become available to them. These can be viewed in the notebook (located at the top of the phone menu) to view crafting notes. While you are working at the Science Lab your Sim will be able to get a breakthrough. This will unlock new ideas. Your Sim will be able to create the inventions of these ideas on the Invention Constructor. Use your good friend the Invention Constructor to create new inventions. In the Science Lab there is a machine called the Invention Constructor. It is located when you walk into the Science Lab through the 2 hallways all the way to the back, turn left. This machine is pretty special because you can actually build a relationship with this machine. Use the option to ‘Chat with Robot’ to build up your relationship. There is also an option to Brainstorm with the Robot, this will help your Sim getting a Breakthrough or get some spare (upgrade) parts. To invent something click on the machine and choose ‘Invent Device’. Sometimes you will need materials to build an invention, these can be gathered by asking coworkers for the materials, around the Science Lab or on Sixam. When you need to upgrade an Invention, drag the invention on the Invention Constructor. Heralded as one of the greatest scientific breakthroughs of all time, this device will keep going indefinitely once started unless it is manipulated by human hands. When you choose the option ‘view’ on the Momentum Constructor it will give your Sim a +1 Focused moodlet for 4 hours. This can be helpful in your career as a Scientist. The Sim Ray is a unique portable device with a lot of possibilities. Use the Invention Constructor to create the Sim Ray. Then drag the Sim Ray off the Invention Constructor into the inventory of your Sim. At first you only have one option to use the Sim Ray to Freeze other Sims. You can Upgrade the Sim Ray with more options by dragging it on the Invention Constructor. I created a list with useful and funny upgrade possibilities. Turn any object into another object, this includes career unlockables or even new collectibles. The original object will be gone and it can cause a fire. Click on a Sim to change their outfit to; swimwear, sleepwear, party, formal, everyday or an athletic outfit. Makes a Sim clean the dirty objects on the lot. Use the SimRay on a Sim to make them sit down. Makes a Sim eat a meal. Makes a Sim instantly sleep anywhere. Makes a Sim run around in panic. Change the look of a Sim. Mostly it will only change the hair color. Use the SimRay to transform cheap objects into valuable objects and sell them for more Simoleons! Both an excellent source of ambient light and also a magnet for the grubby hands of little children. When you choose the option ‘view’ on the Hover Lamp it will give your Sim a +2 Focused moodlet for 4 hours. Gives the whole neighborhood a Happy moodlet and puts them in a Happy emotion for a while. Puts every Sim in the neighborhood to sleep. Make every Sim in the neighborhood angry. Makes every Sim feel the need to relieve themselves, they must hurry to the nearest bathroom before it’s too late! When you reach level 8 in the Scientist career you will be able to upgrade the Satellite Dish. 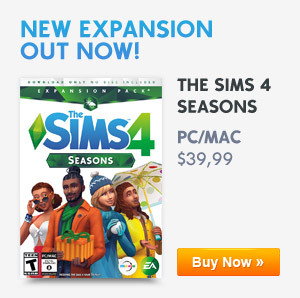 This will increase the chance your Sim has to become abducted by Aliens! When you upgrade the Satellite dish it can be used to detect aliens. This will increase your chance of being abducted. A technological marvel, this sleek scanning platform functions as matter-replicator using Science! To clone objects or Sim you need to drag them to the Cloning Machine and select “Clone Object.” You are able to clone these things: serums, crystals, plates of food, metal, fruits and flowers. Sometime you will fail at cloning an object but the original will stay in place, just try again. To Upgrade, drag the Cloning Machine into the Invention Constructor, then click on the Invention Constructor and select Upgrade. When you upgrade the Cloning Machine you can clone your Sim if you want. This Sim will be added to your household but won’t have the same skill levels as your own Sim. This ultra advanced piece of technology allows brave Sims to travel to the Alien World filled with exotic and interesting things. Hopefully, you can find a way back home once you go through. The options on the Electroflux Wormhole Generator are: ‘Calibrate’, ‘Test Alien Environment’ and ‘Contact Aliens’. To Upgrade the Wormhole Generator so you can travel to the Alien World, drag the Cloning Machine into the Invention Constructor, then click on the Invention Constructor and select Upgrade. This will allow your Sim to travel to Sixam, the Alien World. Serums are made at the Chemistry Station. Experiment with Serums to change life of your Sim or other Sim. You can create Serums at the Chemistry Station with collectibles you can dig up in the neighborhood. Serums can change a Sims’ life for the better or for the worst. Serums are unlocked by breakthroughs. Try Experimenting on the Chemistry Lab in order to have a Breakthrough. To create Tainted Serums you must first test a normal serum 3 times on your own Sim or others. (Test Serum is a Friendly social and Tainted is a Mischief social) After this you can create the Tainted Serums! Drink this Serum to satisfy Hunger! Drink this Serum to make your Sim Angry! Drink this Serum to make your Sim Flirty! Drink this Serum to cure your Sim of any and all sicknesses! Drink this Serum to make your Sim slimmer! Drink this Serum to temporarily turn your Sim into a Ghost! Drink this Serum to fill all of your Sim's needs! Drink this Serum to fatten your Sim up! Drink this Serum to make your Sim Energized! Drink this Serum to increase your Sim's fitness skill! Drink this Serum to make your Sim a Temporary Genius! Drink this Serum to increase the Handiness skill! Drink this Serum to temporarily become best friends with Death/Grim Reaper! Drink this Serum to temporarily give your Sim the brain power of an Alien! Drink this Serum to reset your Sim's current age! While leveling up in the Scientist career you will be able to get a few rewards for your hard work. What a comprehensive guide! Wonderful job! ion in The notebook, how do i get that Working? You can just start leveling your gardening and create serums. It will be automatically added to your notebook when you discover something. Thank you very much! added it to the list. I am trying to make the age away serum and I am not sure how to get an alien crystal, I have vistied the alien world dug up all the rocks and harvested all the plants imaginable yet it says I have no alien crystal, any help? When creating the generator it says It need metal , crystals an any element what does that mean? I had my sim drink 3 normal serums, however, the tainted serum option is still grayed out. Is there a way to fix this or am I doing something wrong? You will have to test 3 of the same normal serums on a Sim first. I’m having the same issue with the chemistry lab. I’m level 9 though. It’s very frustrating. I’m level 6 and also having the same problem. Very frustrating! I looked into this earlier today and found out that the patch did break the chemistry set for active Scientists in the career. According to Crinrict, scientists that were once in the career have a hidden trait to indicate such, but active Scientists didn’t get the trait making the lab seem broke. The fix is to quit the career and then join again, using cheats to promote your Sim back up to where they were. Here is a link for more information about the workaround. Happy Simming! Thanks a lot for sharing this really useful tip!